WeChat allows users to send and receive media files like photos, videos. Besides, it also allow users to use WeChat on both mobile phone and computer. However, these media files can be expired and you may accidentally delete them. Many people have the demand to backup these WeChat media files. In this post we will go through the methods for you to backup media files on Web wechat as well as iOS device. Keep on reading to follow our steps. 1: Head to the web browser and search for WeChat for Web page. Then sign in WeChat on your Android or iPhone as well. Go to “Discover” and select “Scan QR Code” in the pop-up window. Scan the code displayed on the webpage to login to the Web WeChat. 2: Click on the contact or group to open the chat you want to backup the files from. Then just long press the pictures or videos to bring a window with several options. Here if you only want to send one item, you can select Send to Chat directly. 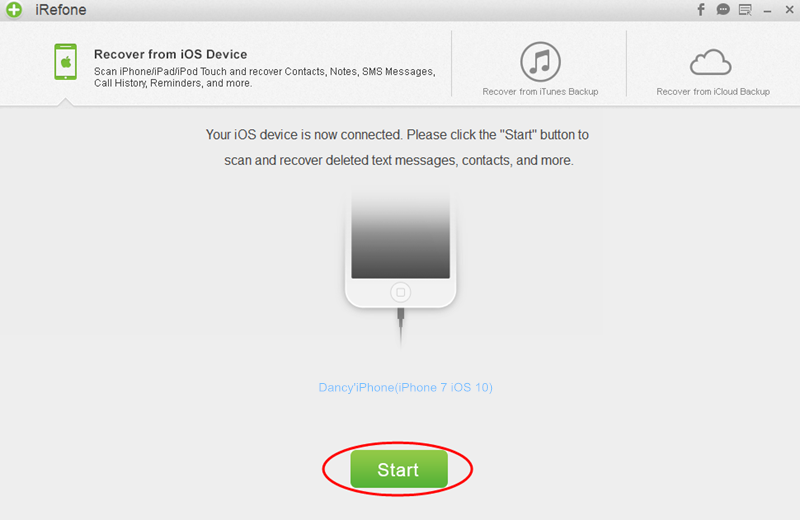 But if you wish to transmit several items a time, you need to tap on More button and then elect the items you want to backup one by one. 3.Click the share button at the bottom and you can go on to select the new chat. Finally, you need to select yourself or the File Transfer as the file receiver. 4.After sending the images and videos to web WeChat, you can start to backup them to your computer now. Just go to the web WeChat on your computer and you will see the pictures and videos that you have sent just now. Right click on the image and select Download to save it on your computer. After that, you can go to This PC> Local Disk (C)> Users> your computer’s name> Download to check the location of the WeChat chat files location. 5.To save the videos, you need to open the video and right click on it to select Save video as. Then you can select a location to store these WeChat chat history files. 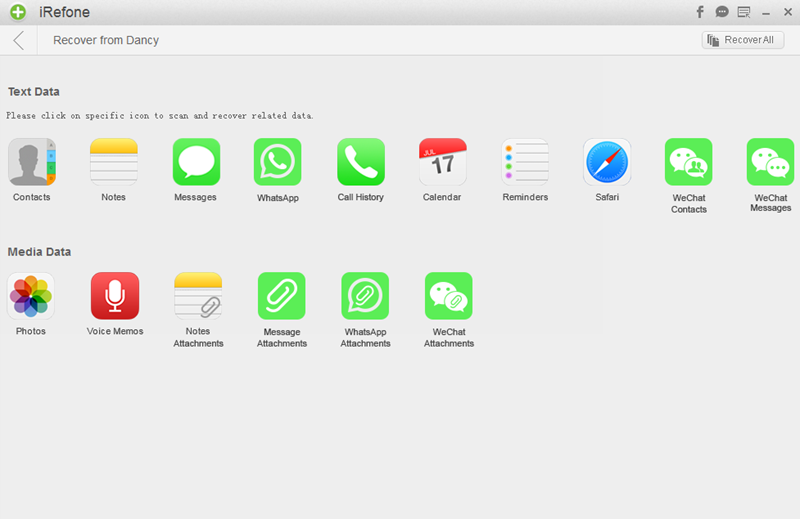 If you want to save WeChat media files from iDevice to computer, it is quite simple to do it with the help of iRefone. This is the best iOS WeChat data recovery which can help iPhone users recover lost and deleted WeChat messages, contacts, photos, as well as backup and transfer WeChat data to your computer or Mac. In addition, if you have iTunes or iCloud backup, this tool also can help you extract WeChat data from iTunes and iCloud backup. Now we will share you the steps of how to save WeChat photos from iPhone to computer. Download and install iRefone first. 1.Run iRefone and connect your iDevice with computer using the USB. Then the software will detect your device automatically. Click on “Start” to go on. 2.Then it will ask you to choose the data you need to scan in your device. These media files that sent and received in WeChat will be stored in the category of WeChat Attachments, just click on the icon of WeChat Attachment to start the scanning. 3.When the scanning is finished, all of the WeChat attachments including photos and videos will be displayed in the interface. You could preview these data in the software and select these media files you need. Then click on “Recover to PC” to save them on your computer.